It’s in my quads where I always feel it the most – walking down stairs with downward pressure into the muscle is particularly killing. 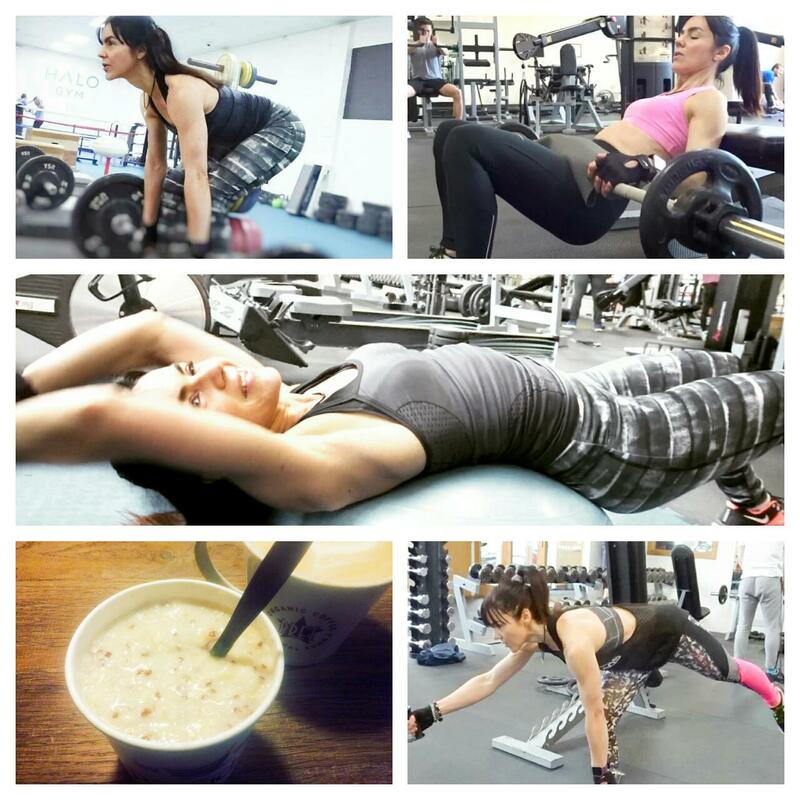 It’s partly why I don’t like to take a break from training unless I can help it. I say partly because the other ‘half’ of the reason is that I’m *healthily* obsessed with the gym, and usually only miss a session when I’m ill in bed! But my last enforced break came a few weeks back while in Spain. If you read my last Face Up Fitness post (the one on motivation here), you’ll know that I lost my training mojo during my Summer hols this year after a leg injury prevented me from doing my usual morning run. The presence of a swimming pool, yoga mat, training diary and good pre-holiday intentions to exercise in the apartment did little to help my frame of mind! Then, as I was writing the aforementioned motivational post, I decided to take a piece of my own advice and check out the local gym (above). Said gym belongs to a rather posh yachting club, Real Club Nautica, and I’d always previously assumed that walk-in trainers wouldn’t be welcome there. How wrong I was! 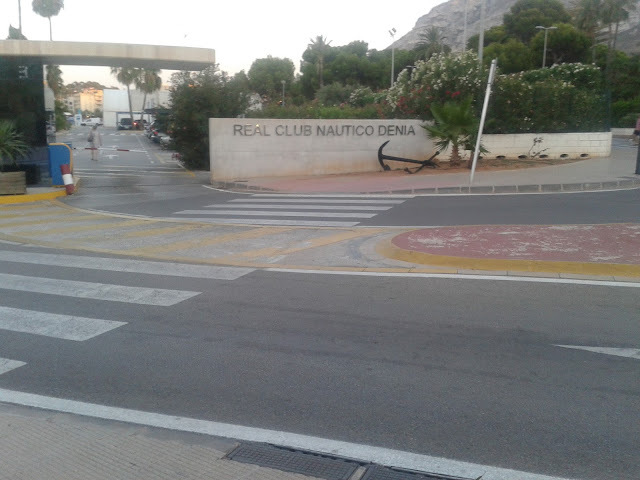 Real Club Nautica in Denia is all geared up to accepting day members. 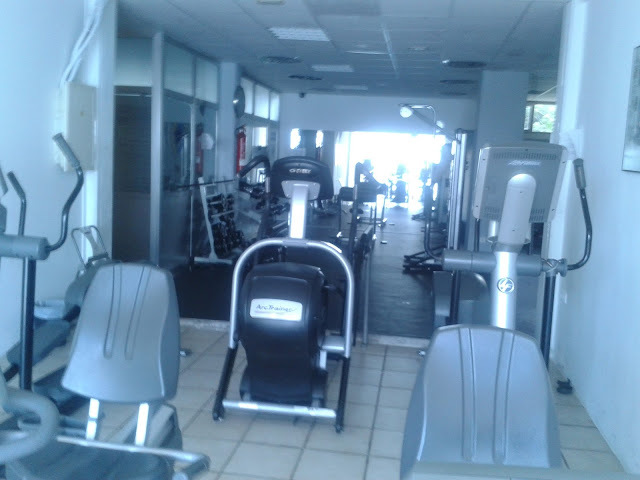 A few cents over 7 Euros bought me a day pass and access to a very well appointed gym with a vast array of cardio equipment, resistance machines and free weights. The changing/showering facilities were perfunctory, it has to be said, but not a deal breaker. But what really sold this gym to me was the setting. Just look at that view! 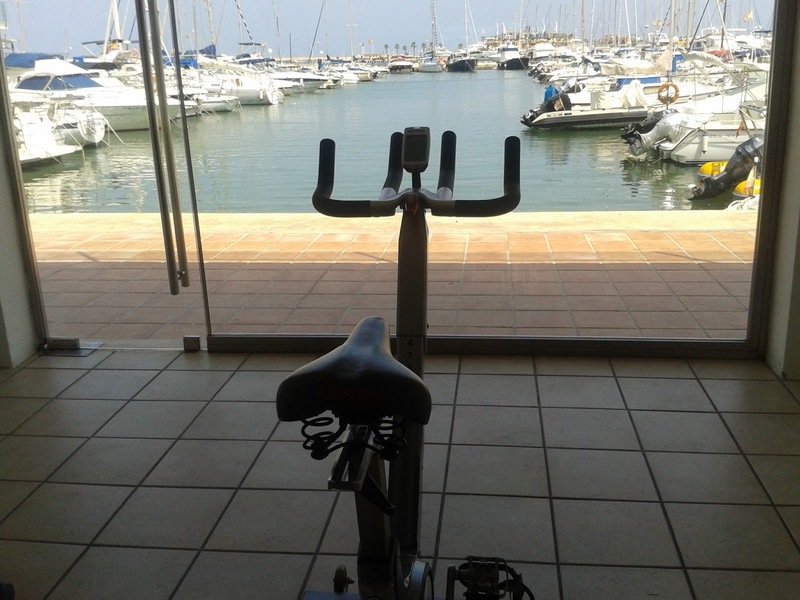 The cardio equipment was set before a large plain glass window overlooking the marina. Wow! Now that is something I don’t get back home! 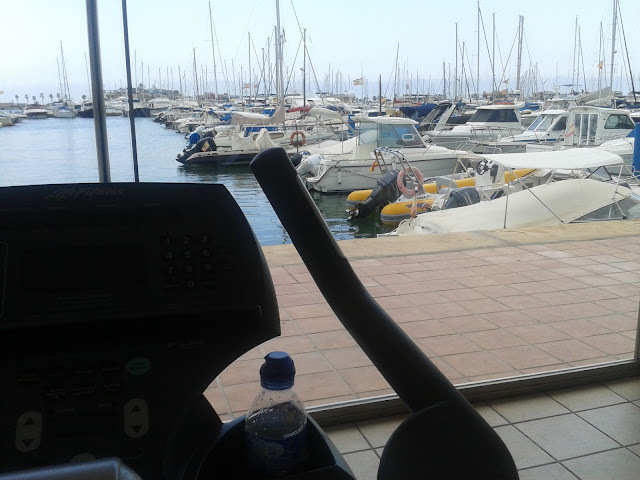 I’ve used cardio equipment before with screens you can programme to simulate a mountain pass ride or a trek through beautiful English countryside, but this was the real deal – I saw actual sailing yachts coming into dock as I passed the 5 minute mark on my bike, then the 10 minute, 15, 20… ok, slight exaggeration – but only slight! Which brings me on to why I decided to write this post. If you’re about to go on hols and getting all worked up about an enforced ‘training holiday’, then don’t be! In all likelihood there’s a gym around the corner from your villa that would welcome you with open arms just like the Real Club Nautica did with me. I really don't think I could do my fitness programme whilst on holiday, I'm always full of good intensions but never follow them through. You look amazing, dear Tracey! I think you look stunning, really, what for amazing arms and body you have (and face too, let's not forget your sweet face!) I loved this fitness center, what for a great view! Boats and yachts passing by, it must be a pleasure exercising there, indeed! 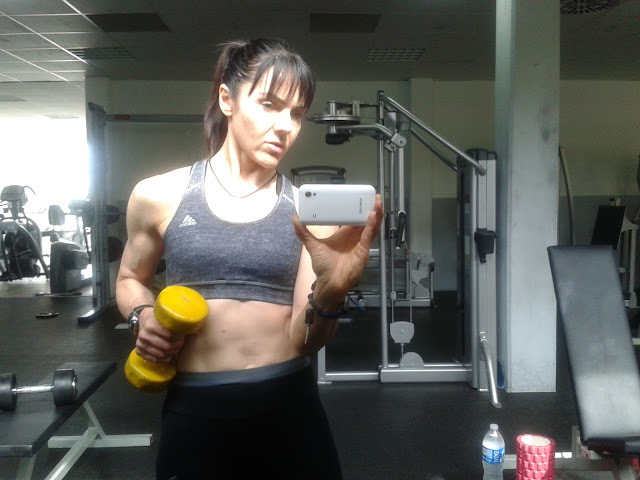 I told you, I wish I loved gym like you and my brothers! OK, i like dancing and roller skating, but am not doing this now - I keep on saying, one day, one day :) I believe I will, when I solve some other things :) (All excuses, I know!) I hope you recovered from your leg injury! And that you have a great weekend!